Bryden Bone completed his Honours Bachelor of Science in Biology at the University of Manitoba, in his hometown of Winnipeg. His honours thesis data was collected in coastal Newfoundland, investigating the factors influencing egg cannibalism in capelin, an important forage fish species. In his final year, he worked on the development of environmental DNA assays that are currently being used to expand the known range of native Manitoban lampreys. During his studies, he also competed for 5 years with the University of Manitoba Bisons football team. Bryden’s interests revolve around conservation and redefining the way that we as a global society interact with and exploit our environment, specifically whole ecosystem protection and the redevelopment of fisheries and aquaculture management. He was attracted to the MMM degree at Dalhousie due to its multidisciplinary and applied approach, as well as the diverse backgrounds of its graduates. Emma is a recent B.Sc. graduate from Acadia University. While at Acadia, she completed her honours thesis within the Biology department, studying population demographics and social image of two cryptic skate species in Nova Scotia’s Inner Bay of Fundy. Her honours research gave her the opportunity to work alongside both commercial and recreational fishers, allowing her to combine her enthusiam for the conservation of at-risk species with her love of community outreach. 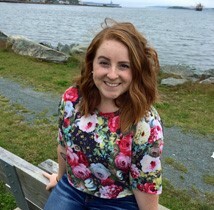 Emma is excited to be a part of Dalhousie’s Marine Management program, building off her interests in marine conservation and sustainable fisheries. She will focus her studies on how transparency and consumer education within seafood markets can affect the health of the oceans. 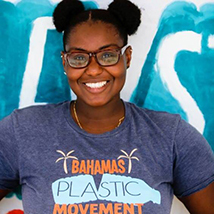 She hopes to contribute to the ongoing movement toward sustainable seafood within her community and communities around the world, while also discovering new interests through the interdisciplinary nature of the Marine Management program. 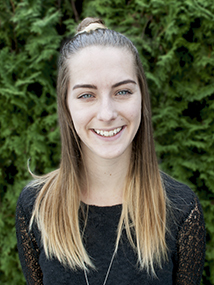 Olivia is a recent graduate of the University of Waterloo with a Bachelor of Environmental Studies in Geography and Environmental Management and a specialization in Earth Systems Science. Early in her undergraduate studies, Olivia expressed an interest in environmental hydrology and urban impacts on freshwater sources. As a co-op student at Indigenous and Northern Affairs Canada, Olivia further developed an interest in marine ecosystems. Through her supporting role in work involving current issues related to the marine environment, Olivia engaged in discussions on community-based resource management in the high seas Arctic and international cooperation on the Arctic marine environment. Olivia is eager to develop a better understanding of marine policy and tools to protect the ecological and cultural integrity of the marine environment. 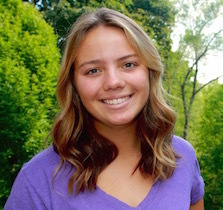 During her studies in the MMM program, Olivia intends to research best practices in ecosystem-based ocean management and mechanisms for collaborative management of transboundary marine ecosystems. Alex grew up in British Columbia, where she developed a passion for wildlife and the environment. This led her to the University of Guelph, where she graduated in 2012 with a Bachelor of Science in Animal Biology. The concentration in aquaculture and wildlife biology furthered her interest in marine life. Following graduation, Alex moved back to BC where she worked in the zoological field as an animal keeper and trainer. Wanting to focus more on marine life and education, she left the animal care field to work in the whale watching industry. Alex believes that conservation science is achieved through a balance of field research and community engagement. She hopes to focus her research on examining the long-term effects of underwater noise pollution on marine life, and in particular, cetaceans. She hopes understanding these effects will help improve ecosystem management practices and increase community involvement. 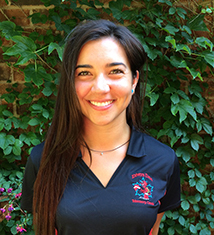 Helena Cousins recently graduated from the University of Guelph with a Bachelor of Science in Marine and Freshwater Biology. During this time, she was able to complete an exchange program in Perth, Australia, and a field course on Half Moon Caye, Belize. These experiences provided opportunities to participate firsthand in studies pertaining to freshwater and marine bivalves, as well as tropical coral species. 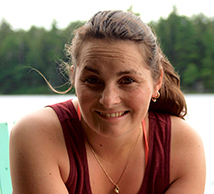 After being introduced to the world of SCUBA in 2011, Helena has continued to dive, and completed her PADI Divemaster certification while working in Tobermory, Ontario over the past summer. Helena is looking forward to learning the political and managerial efforts related to the ecosystems she studied in her undergraduate degree. Having worked as a travel agent for a brief period, Helena is especially interested in the effects of a growing tourism industry on fragile marine environments and the communities they support. 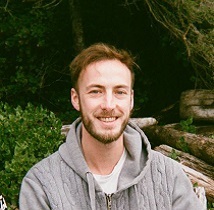 James Crofton graduated from the University of Victoria in 2014 with a double major in geography and environmental studies. Growing up in Victoria, BC James always felt a strong connection to the ocean and developed a passion for marine conservation. In 2015 he worked as an at-sea fisheries observer off the BC coast which gave him a deeper knowledge of marine ecology while also providing insight into how devastating large-scale industrial fishing can be. In concurrence with James’ undergraduate studies, this experience has driven his interests in improving the sustainability of the fishing industry and protecting the fragile ecosystems on which it depends. James believes the MMM program will prepare him for a career in which he can address the complex biophysical and sociopolitical issues that afflict our oceans and coasts. Graduate Project Research - Rules of engagement: How and why are ocean and aquatic scientists communicating with the public? 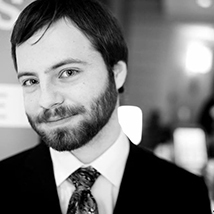 Prior to joining the MMM program, Alex Tesar worked in journalism. 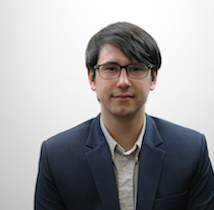 As an editor at The Walrus, Alex sought out stories about Canada and its place in the world, his writing has covered bird migration, Métis identity, and body donation for educational purposes—among other subjects. Alex was also the magazine’s head of research. Originally from Yellowknife, Alex moved to Ottawa as a child, and later attended the University of King’s College, in Halifax. There he developed an abiding interest in the relationship between science and culture. 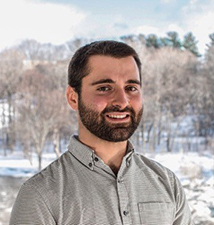 Having been aware of the MMM program for several years, Alex was attracted to its interdisciplinary nature, and now hopes to learn more about how science can be effectively leveraged and communicated in the context of marine management. Emma joins MAP from Wainfleet, a small Ontario town where she developed an affinity to nature and conservation at a young age. She holds a BSc from Queen’s University in Biology, focusing on animal physiology, and an Ecosystem Restoration graduate certificate from Niagara College. Her past research and experience has revolved around freshwater fish conservation and angling practices. During her time as an undergraduate Emma has worked as a zookeeper at a CAZA (Canada’s Accredited Zoos and Aquariums) certified facility where she helped to educate the public about conservation efforts. As a young teenager, Emma had the opportunity to travel with her family through parts of the Northwest Passage in the Arctic. These experiences, in conjunction with her education and research, have steered her towards marine conservation. She hopes to focus her research on Marine Protected Area establishment in the Arctic during her time with the MMM program at Dalhousie. 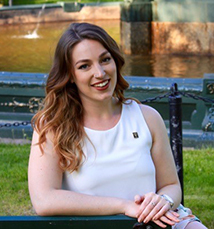 Alexa Goodman is originally from Montreal, but now calls Halifax home after completing her BSc at Dalhousie with a double major in Marine Biology and Environment, Sustainability and Society in 2017. She has been scuba diving since the age of 10, which sparked her passion for the ocean and marine life. While studying at Dalhousie during her BSc, managerial issues concerning the oceans became more and more evident, motivating her to pursue the MMM program. While working alongside a coastal adaptation specialist for her independent project, Alexa gained experience and understanding in environmental education and community awareness, community based co-management and fisheries management. She has worked as a Fisheries Observer on George’s Bank, where she had the opportunity to interact with fishermen, and experience life on the open ocean. Alexa is currently interested and concerned about marine pollution, specifically the impacts of ghost gear on marine life, and how to retrieve it from the ocean, using a community co-managed approach. Kaitlyn grew up on the South Shore of Nova Scotia, in an area where marine based industries make up the backbone of the economy. From a young age, Kaitlyn developed a sense of pride, respect and responsibility towards our ocean and coastal resources. Her undergraduate degree at McGill University in Geography and Environmental Science helped her to appreciate the complexity of these resources, and guided her towards a passion in conservation. Since obtaining her BA in 2012, she has worked in stream restoration and conservation, as an Adventure Tourism Guide leading cycling and kayaking tours around the world, and most recently, as a Community Youth Development Facilitator with a not-for-profit based in Halifax. Kaitlyn believes that communities are stronger and more resilient when youth are empowered, which is why she intends to focus her studies in the MMM on youth in Community-Based Conservation. 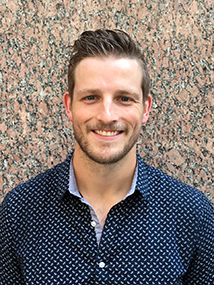 Seth Jenks is beginning his first year in the Masters of Marine Management graduate program. He received his Bachelor’s degree in Economics from Appalachian State University located in Boone, North Carolina. He is most interested in sustainability as it pertains to balancing economic prosperity and ecological well-being in large fisheries as well as examining how wetlands offer protection from storm surge and floodwater inundation to valuable coastal property. He has previously worked with environmental organizations in North Carolina that focused on maintaining the health of the large estuarine system located in the Northeastern part of the State. In his free time, Seth is an avid outdoorsman who enjoys fishing, swimming, caving, and backpacking. He also likes to read and play piano when he can. 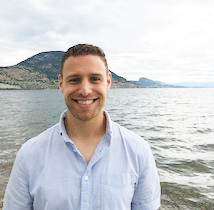 Curtis graduated from the University of Victoria in 2015 with a Combined Honours Degree in Earth and Ocean Sciences and Biology, and an Ocean Sciences Minor. His undergraduate degree gave him the opportunity to experience the ocean for the first time, leading to the completion of an undergraduate thesis on coastal elemental cycling, and work as a research assistant in an oceanography laboratory after graduation. During Curtis’ studies, his ocean interest developed into a call for protection and mitigating human impacts - especially those caused by climate change. The MMM presents an exciting opportunity for Curtis to make an impact in this area. He plans to spend his time at Dalhousie researching effective methods to educate the public on how human impacts are negatively affecting the ocean, in an effort to increase public support for environmental policies that are based on scientific evidence. Andrea is a recent graduate from the University of San Diego (USD) in California where she received her bachelor’s degree in marine science and environmental studies. Originally from Montreal, she lived in Latin America for 16 years where her fascination of the ocean developed. As an undergraduate student, she conducted research on great white shark population distribution in Mossel Bay, South Africa. Andrea also did research on queen conch orientation in relation to currents while studying abroad in the Turks and Caicos Islands. At USD, she did an experimental comparison of phytoplankton and marine snow as a food source for copepods and was able to present the research at multiple national conferences. While abroad she became interested in Marine Protected Areas (MPAs) after taking a marine resource management course, which led her to pursue her MMM degree at Dalhousie. Her research interests are the implementation and monitoring of MPAs. Ryan a recent BSc in Biology graduate from Carleton University with a concentration in Ecology, Evolution and Behaviour. His undergraduate thesis project was on the effects of recreational boat motor noise on the parental care behaviour of male largemouth bass in Ontario. Ryan grew up in Saint John, NB near the Bay of Fundy, which sparked his interest in the ocean at a young age. While living in Ontario, and consequently away from the coast, Ryan’s appreciation for the ocean grew, as did his desire to work in this area. Although much of his research experience is in freshwater ecosystems, Ryan is excited to be back on the east coast and develop his skills in marine environments. He intends to focus his work in the MMM program on the major socioeconomic and environmental concerns of finfish aquaculture development in Atlantic Canada, and how to mitigate these concerns. Scott graduated from the University of Guelph completing a BSc in Zoology. During his studies, he developed a keen interest for the oceans and began his focus in Marine and Freshwater Biology. In the Spring of 2015, he participated in a field course visiting the Bimini Biological Field Station to study shark biology. There he had the opportunity to help with shark tagging as well as learning about shark phylogeny and physiology with some of the world’s leading shark biologists. 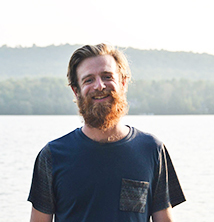 In the MMM program, Scott hopes to gain an interdisciplinary perspective of ocean and fisheries management. In this facet, he intends to contribute to efforts to minimize biodiversity loss and promote sustainable oceans. Lydia obtained a diploma from Holland College in Photography & Digital Imaging. She worked with Mountain Lake Films, and David Suzuki, as set phtographer of TORA, a debut film for David Suzuki. She received her undergrad from Dalhousie in Environment, Sustainability & Society (ESS) earning Dean's List each year of her studies. 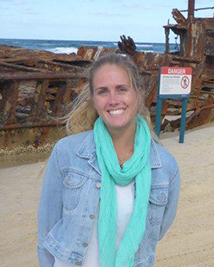 Her interests in seagrasses developed during her study abroad in Environmental Management in Western Australia. She also gained certification from McGill School for Continuing Studies in Project Management. Lydia volunteers enthusiastically within environmental education organizations and holds a strong passion for inspiring others to learn about our oceans. She focuses on sharks, industry & our environment, water quality, and coastal ecosystems. Lydia has worked with Kejimkujik National Park Seaside as Eelgrass Lead. She led two transplant events and initiated a baseline study on blue carbon storage within the Park's eelgrass meadows. Lydia is interested in contributing to the green economy via carbon credits she hopes to generate through eelgrass restoration. Leah graduated from the University of Guelph in 2015 with a B.Sc. (Honours), majoring in Marine and Freshwater Biology and minoring in Ecology. During her undergraduate she participated in the semester abroad program, travelling to Australia to study at James Cook University. There, she was able to explore the use of Marine Protection Areas (MPAs) as a tool for sustainable resource management, further developing her fascination for marine conservation. This experience inspired Leah to return to Australia after graduating, and work in ecotourism on the Great Barrier Reef, educating overseas visitors about the region and the biodiversity within it. 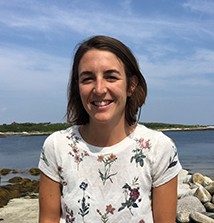 Leah is excited to begin her tenure at Dalhousie and hopes to explore international marine policy in the context of coastal zone management. She wants to improve the long-term success of transboundary MPAs, using an integrative approach that works both effectively and efficiently to serve economic, political, social and environmental needs. Gradaute Project Research - Stakeholder perceptions of the Nova Scotia aquaculture regulations: A foundation for social license? Meghan attended the University of British Columbia and holds a Bachelor's of Science in biology. 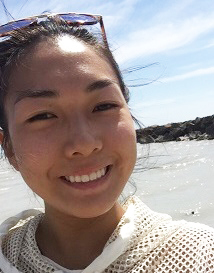 During her undergraduate degree, she was interested in predator-prey interactions in intertidal systems and how they were affected by climate change. After participating in a service-learning placement at a sea turtle conservation site in Costa Rica, Meghan gained an appreciation for environmental policy and complex systems with environmental, social, and political factors. Meghan participated in a research assistantship for a UNESCO study investigating policy controls for emerging contaminants. This solidified her desire to further study environmental policy. Meghan is excited to join MMM due to the intersdisciplinary nature of the program. Meghan is currently interested in how traditional first nations knowledge and scientific knowledge can be used in fisheries policy and hopes to study this further at Dalhousie. 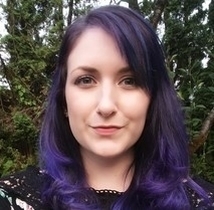 Haley is a recent graduate from Saint Mary's University, where she completed her Bachelor of Environmental Studies. Originating from Brantford, Ontario, Haley knew at a young age her place was by the ocean as it held her one true passion, marine mammals. In the MMM program, Haley will continue to pursue her interests in marine mammals through living resource management, focusing on noise pollution mitigation. Over the years, Haley has seized numerous opportunities to help familiarize herself with the marine world. She has experience in volunteering in South Africa on a whale watching vessel, working as a guide for a local Nature and Whale watching tour company, working for Environment Canada as an Environment Enforcement Officer, and working for Parks Canada as a Marine Conservation Policy Officer. Combining her experience and educational background, Haley hopes in the future to work with endangered marine mammals by providing the management they deserve.